Volkswagen: VW will act as the project coordinator and as the leader for WP5. VW will conduct engine testing for transition and future fuels and derive recommendations and will support WP6 and WP7 in its efforts by supplying data from WP5. 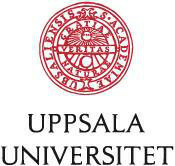 Uppsala Universitet: Uppsala University participates in PHOTOFUEL with its Department of Chemistry – Ångström. The department includes several research programs among which Microbial Chemistry will be participant of PHOTOFUEL. The main tasks of Microbial Chemistry in PHOTOFUEL are within biocatalysts development (WP2) – To engineer and optimize cyanobacteria to produce selected liquid biofuel products, individually and together with partners ICL and UniBi. Universität Bielefeld: Biocatalysts development (WP2) - Engineer and optimize microalgae to produce fatty acids and ready-to-use liquid biofuel products, individually and together with partners ICL and UU. Biomass production experiments on lab scale (WP3). Eukaryotic microalgae will be engineered to secrete drop-in biofuel candidates including terpenoid hydrocarbons. Imperial College London: The Microbial Metabolic Engineering-group http://www.imperial.ac.uk/people/p.jones will be involved in all tasks in WP2 and up-scaling and GMO safety / genetic stability work carried out in WP3. The REaCT group http://www3.imperial.ac.uk/ceREaCT will be mainly involved in the scale-up and environomic analysis of promising organisms and mutants from WP2. To this effect the group will provide kinetic evaluations of the growth and production rates of viable strains (WP2) but will spend most effort in WP3, developing suitable separation strategies for the different product vectors and how these can be scaled up for implementation by A4F and UniFi. Universita Firenze: The University participates in PHOTOFUEL with its Department of Agrifood Production and Environmental Sciences. The department includes seven sections, among which the Microbiology Section, that will actually carry out the work. The research topics in the Microbiology section are photosynthetic organisms physiology and mass culture, soil microbiology, and food microbiology. AlgaFuel: A4F is an SME dedicated to the design, installation and operation of industrial microalgae production units, currently operating one of the largest commercial units with tubular photobioreactors, with the size of 1 ha. A4F additionally owns an experimental unit with 230 m2 which is GMO compliant (UEL), and a R&D laboratory. In Photofuel it contributes in WP3 to the upscaling of biocatalytic systems (together with Imperial College) and the outdoor fuel production on a scale of 5 m³. IFPEN: IFP Energies nouvelles will be leader of the WP4 where the characterization, upgrading and blending of the produced fuel components will be conducted. Within WP5, IFPEN will be in charge of the engine validation of fuels, and more precisely on the validation of high butanol and alkanes blends on a DISI single cylinder engine. Some experiments conducted in an optical single cylinder engine will help to understand the combustion behaviour of these products. IFPEN will also be involved in the WP6 with studies dedicated to the assessment of environmental and economic performance. Neste: Neste will lead the work package 7 ''Business case development''. Neste's role is to summarize the results of other working packages into a business case description. Neste will participate in WP4 "Product characterization, upgrading to fuels". In this WP Neste's role is to characterize and upgrade the diesel fuel components from WP3 to diesel fuel samples for WP5. Karlsruhe Institut für Technologie: In the Photofuel project KIT is responsible for WP6 and will conduct the LCA from cultivation to harvesting (WtT) as well as evaluate other sustainability issues such as the water and nutrient footprints. Moreover KIT-ITAS will conduct the risk assessment task. Centro Ricerche Fiat: The main role of CRF in the Photofuel project will be to test biofuels blends at engine test bench and on the vehicle. VOLVO: In WP5 VOLVO will contribute to fuel tests in single cylinder engine test rigs. In WP6, it contributes to LCA with focus on fuel use in relevant heavy duty vehicle applications. SYNCOM: SYNCOM will contribute management and administrative support to the consortium as a whole and assist the coordinator in some of the day to day management tasks of the project. Additionally SYNCOM will be responsible for the organisation and steering of the dissemination activities and contribute to the business case development.